This is one the more popular and versatile air mover can be easily moved to any location where improved ventilation or cooling is required. 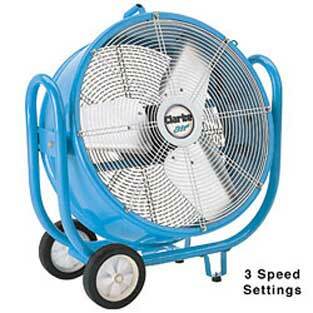 It's ideal for factory workshops, garages, warehouses etc where natural air movement is inadequate. Ideal for maintaining a good atmosphere.